WILLIAM SMITH, MS, NSCA, CSCS, MEPD, completed his B.S. in exercise science at Western Michigan University followed by a master’s degree in education and a post-graduate program at Rutgers University. In 1993, Will began coaching triathletes and working with athletes and post-rehab clientele. He was a Division I Collegiate Strength Coach and has been competing in triathlons and marathons since 1998, finishing 7 marathons and 1/2 Ironman. 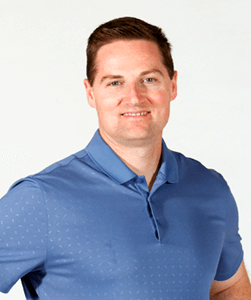 Will currently works for the #1 Ranked Hospital developing Employer-Based Health and Wellness Programs for Companies, specializing in installing On-Site Medical and Health Suites to assist in lowering employee healthcare costs. Will has advanced specialty certifications in cancer, post-rehab exercise and athletic development. Will has co-authored Tri Power, Strength Training Bible, The Strength Training Bible for Women, 7 Days to Live Forever and Mobility Workout Handbook He is also the author of several books in the popular Exercises For series including Exercises for Heart Health, Exercises for Back Pain, Exercises for Brain Health, Exercises for Cancer Wellness, and many others.